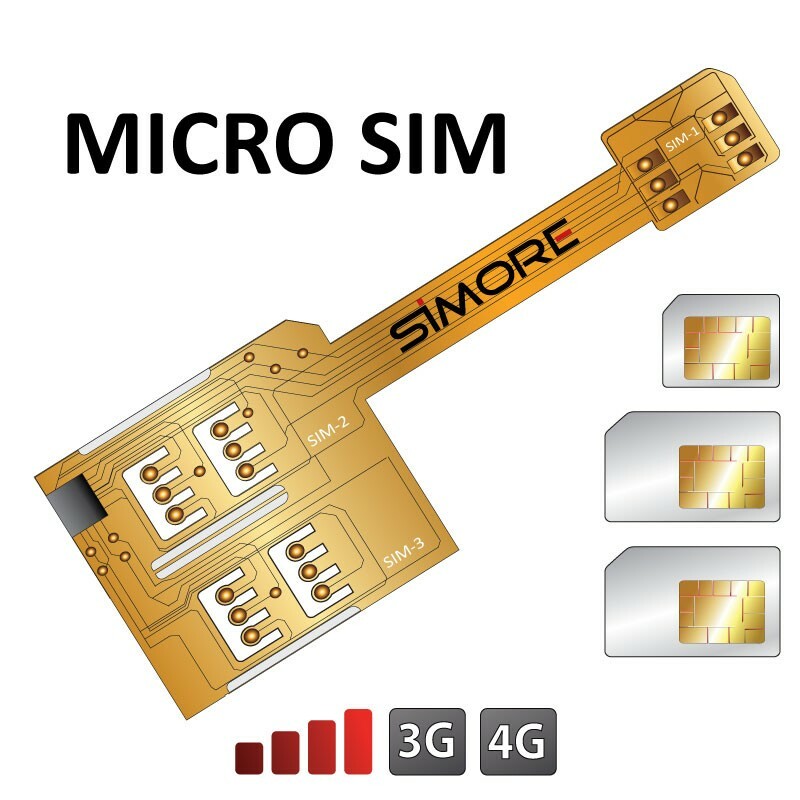 The X-Twin Micro SIM device is a triple SIM card adapter which allows you to have three SIM cards (micro SIM and standard SIM) in your Micro SIM format mobile phone. Call, send and receive your SMS/MMS with 3 SIMs on one smartphone. Choose the SIM card to access your data and browse Internet. The Triple sim X-Triple Micro SIM adapter is very convenient for travellers, businessmen, or anyone who uses more than one SIM or phone number. Integrate and use three SIM cards in one single Micro SIM smartphone or tablet.